$100 Bonus Gift Card. Terms in Description. *Must Purchase Between: 1st April - 31st July 2019. 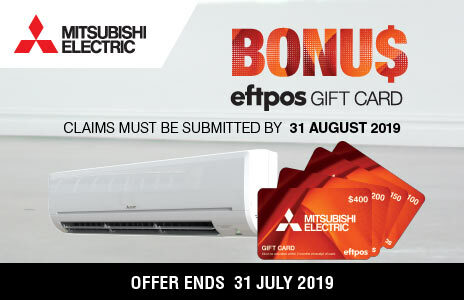 Register your claim online at https://eftposgiftcard.mitsubishielectric.com.au/ by 31st August 2019. Read the full Terms & Conditions here for more information. The MSZGL25VGDKIT Mitsubishi 2.5kW Split System Reverse Cycle Air Conditioner from Mitsubishi. For easy cleaning, the unique Mitsubishi Electric Quick clean design enables removal of the front panel and air flow vents providing open access, including to the fan. Regular cleaning of the indoor unit improves performance, reduces energy consumption and extends the life of your air conditioner. Mitsubishi Electric Advanced Inverter Technology provides high-speed cooling and heating with extra energy savings compared to non-inverter models. The ON/OFF timer allows you to set the time of day you would like the air conditioner to switch on or off. This simple timer is perfect if you want to program the air conditioner to switch on at a particular time in the morning. 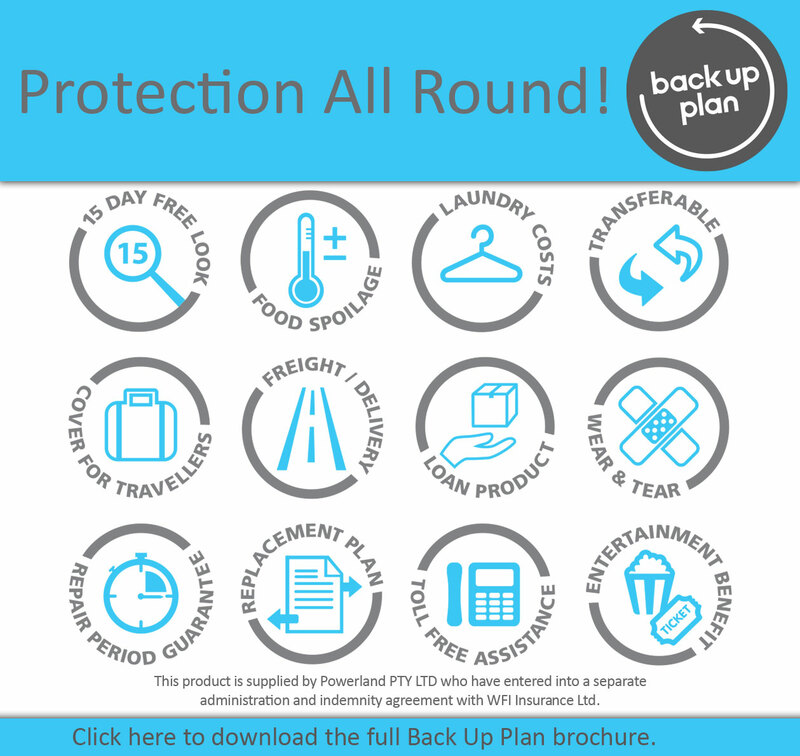 Alternatively, if the unit is already running you can set the time it will switch off at. R32 is a refrigerant with just one-third the global warming potential of R410A, meaning less risk of harm to the environment. R32 enables increased energy efficiency, and is said to be the next generation in refrigerants. A “Quiet Mode” setting has been added to the fan speed settings, ensuring super quiet operation below 19 dB for model sizes 35 and under. Perfect for the bedroom; it’s so quiet you’ll check to see if it’s on. the “i-save” Mode is a simplified setting function that recalls the preferred (preset) temperature at the press of a button on the remote controller. The function ensures the most suitable air conditioning settings are used contribute to reduced power consumption. The larger 71/80 models feature a “Wide-vane” mode where you can easily adjust the direction of airflow to reach any corner of the room. The high-power motor combines with the “Long” mode to push air out further, helping to provide a more even air conditioned experience in the room. (models 71/80). This innovative technology connects your domestic Mitsubishi Electric air conditioners to your smartphone, tablet or online account, giving you the freedom to fully control each unit on-the-go via an Internet connection. Optional additional adapter MAC-558IF-E required per unit. Based on connection of a demand response enabling device (DRED) via DRED interface DRC-101A, Demand Response Mode is activated in response to signals sent from the electric power company at times when it is necessary to reduce peak demand. (2.5 kW – 7.8 kW).